Superb nitro cellulose finish flame maple neck, with rosewood slab fingerboard, cross thread truss as the old Fenders used to be. 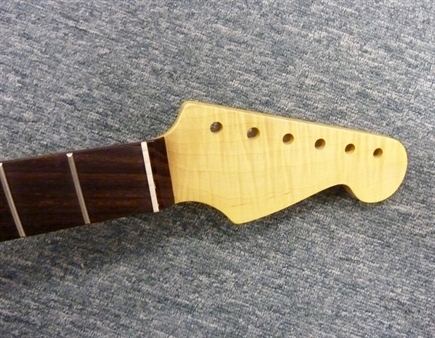 Overall this is one of the best replacement necks I have seen. The flame is not striking but it is there and the quality of wood is fabulous.